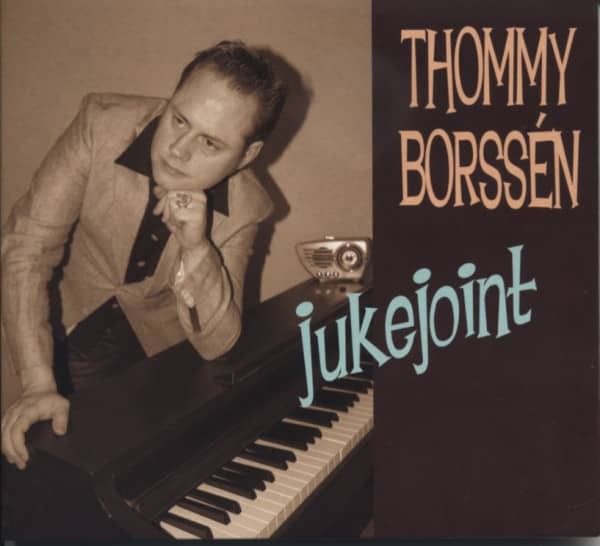 (Thommy Borssen) 13 tracks, newcomer Piano dude from Sweden! Great songwriter, great arrangements, great Piano playing and a pumping back-up band make this album really to a enjoyable one! This is no Jerry Lee Lewis copy cat stuff this is the cat's own stuff and style and highly recommended!Entspanntes, gutes Rock & Roll Piano Album aus Schweden. Empfehlenswert für alle Freunde von Jerry Lee Lewis, Carl Mann, Charlie Rich etc. Customer evaluation for "Juke Joint (2013)"